A deep dive into polymer 3D printing: technologies, promising developments, applications, and more. 2019 promises to be the year of polymer 3D printing. As major chemical companies are now joining the 3D printing world and industry mainstays are further advancing the capabilities of the technology, polymer 3D printing is given a tremendous boost. To keep up to the latest developments, today we’ll be diving into the most exciting innovations in polymer 3D printing and opportunities offered by the technology. But first, let’s explore the common polymer 3D printing techniques used across industries. The emergence of Stereolithography (SLA) in the 1980s marked the beginning of the 3D printing era. SLA is an ideal technology for producing great looking parts with an excellent surface finish. Due to its accuracy and high resolution, SLA parts are mostly used for form and fit concept models or as master patterns for moulding applications. SLA relies on liquid photocurable resins. These are selectively cured by a UV laser layer by layer, causing the resin to solidify. While SLA parts offer great surface finish, they tend to be less durable than parts produced with other additive technologies. Also, since SLA materials are sensitive to UV light, their mechanical properties can change due to overexposure to sunlight, thus making them unsuitable for outdoor use. SLA photopolymers come in a variety of colour options as well as a number of speciality materials (castable, durable, high-temperature, medical grade). The choice of materials for SLA is constantly expanding. Just this month, Formlabs, a leading manufacturer of desktop SLA 3D printers, launched two new resin materials. The first is 50A Shore Elastic Resin, designed for prototyping silicone parts. The second material, Digital Denture Resin, has been developed for 3D printing biocompatible denture bases and teeth. Fused Deposition Modeling (FDM), also known by its non-trademarked term, fused filament fabrication (FFF), is one of the most popular 3D printing methods. FDM became commercially available through Stratasys in the 1990s, serving as an affordable and user-friendly prototyping technology. Since then, FDM has evolved to offer greater reliability, accuracy and material choice, making it suitable for a number of production applications such as manufacturing aids. FDM uses thermoplastic filaments that are extruded through a nozzle onto the printing platform one layer at a time. One of the main limitations of FDM parts is anisotropy, meaning that their mechanical properties are not equal in all spatial dimensions. This can result in weaker parts. Furthermore, FDM has a slower printing speed compared to other 3D technologies like SLS or SLA, making it generally impractical for series production. Today, manufacturers have a variety of FDM filaments at their disposal, from elastic TPU to durable and reinforced ABS and high-performance materials like PEEK. With the availability of production-grade thermoplastics, FDM is ideal for producing functional, durable products. 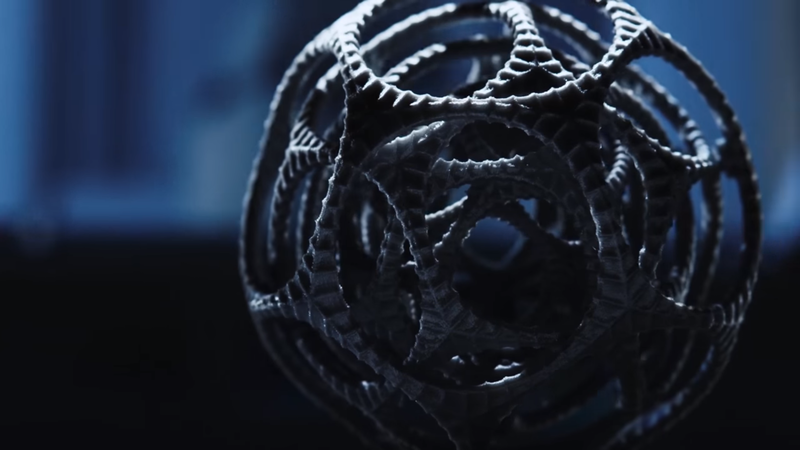 Selective Laser Sintering (SLS) is an additive manufacturing process that involves the fusing of plastic powdered material using a powerful laser. With a combination of high accuracy, speed, reliability and lack of support structures, SLS is used both for functional prototyping and low-volume production. SLS typically uses polyamide (nylon) powders, with PA11 and PA12 being the two most commonly used polyamides, in addition to flexible TPU material. However, companies are continually adding new material offerings. For example, in 2018, Evonik released the world’s first flexible plastic PEBA-based (polyether block amide) powder for SLS. 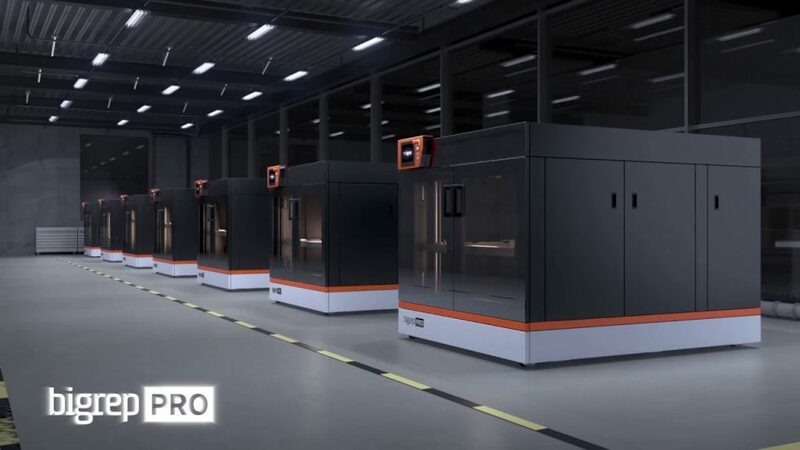 German 3D printer manufacturer EOS has also made available carbon-fibre reinforced PEKK thermoplastic for its SLS systems, in addition to its certified PEEK material. The new PEKK thermoplastic is said to be able to replace aluminium parts in aerospace and industrial applications. Notably, EOS is currently the only manufacturer that offers an SLS system capable of processing high-performance thermoplastics like PEEK and PEKK — the EOS P800. Historically, SLS technology has been more expensive for companies to acquire (costing into the hundreds of thousands of dollars). However, in 2014, the patent for the technology expired, giving rise to more affordable alternatives, such as the Formlabs Fuse 1 benchtop 3D printer. Since its introduction to the market in 2016, HP’s Multi Jet Fusion (MJF) has opened a new dimension for the production of industrial-grade functional parts and prototypes. Like SLS, the technology uses nylon powders. However, instead of using lasers, MJF operates by dropping fusing agent on each layer of powder, which is then fused by an infrared light source. Compared to SLS, MJF offers faster workflow due to HP’s innovative post-processing station, which speeds up the cooling process and aids in powder removal. The Jet Fusion 300/500 series also offers full-colour 3D printing capabilities. There are a few limitations with HP’s Multi Jet Fusion, for example its currently limited material selection (PA11, PA12, PA12 filled with glass beads). However, HP promotes an Open Platform model, which encourages collaboration with material developers. Though this approach, HP has partnered with over 50 companies, including Evonik, BASF and Lubrizol, which are working on the development of new materials suitable for the technology. Material Jetting is an inkjet printing process that involves depositing a liquid photoreactive material onto a build platform layer by layer. Similarly to SLA, Material Jetting uses resins, which solidify under a UV light. One of the key benefits of Material Jetting is the ability to combine two or more photopolymers during the printing process, resulting in a part with hybrid properties (e.g. combining rigidity with flexibility). Furthermore, the technology is capable of producing full-colour parts, which makes it ideal for prototypes with a final-product look. Resins used in Material Jetting are similar to those used in SLA, but have a less viscous, ink-like form. Their cost is also typically higher. Among the limitations of the technology is the poor mechanical properties of the printed parts, which make material jetted parts generally unsuitable for functional applications. Industrial 3D printing with polymer materials unlocks a wide array of possibilities both for production and product development departments. Below, we’ve outlined the most prominent of them. Prototyping remains one of the primary application areas for polymer 3D printing. With the evolution of 3D printing technologies, prototypes can now be produced much faster, they are more durable and visually appealing. The automotive industry, which is said to have purchased the greatest number of printers in 2017, is a prominent user of polymer 3D printing for prototyping purposes. Here, all kinds of 3D printing technologies are leveraged both for form and fit, as well as functional, testing and validation. 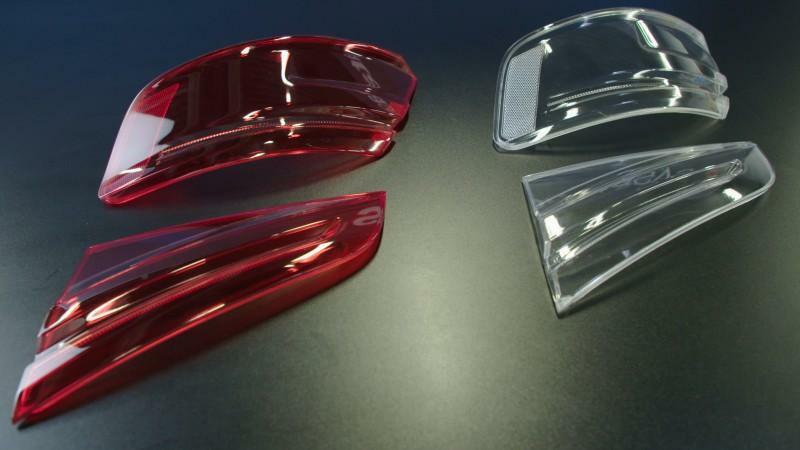 One example is Audi, which is using Stratasys’ J750 PolyJet 3D printer to design and validate parts, such as taillight covers, for its automobiles. As a full-colour, multi-material process, Stratasys Polyjet machine can produce functional prototypes, simplifying and accelerating the product development process considerably. In the motorsports sector, 3D printing is a go-to technology when it comes to producing functional parts for race car testing. The Alfa Romeo Sauber F1 Team, for example, extensively uses SLS and SLA 3D printing to produce parts including front wings, brake ducts and suspension covers, as well as engine covers, internal ducts and hand deflectors for wind-tunnel car models. 3D printing for tooling has emerged as one of the most promising uses of the technology. From jigs and fixtures to investment casting patterns, polymer 3D printing opens the door to faster, cheaper and customised tools. Generally, companies turn to FDM and SLA technologies to produce tooling due to their relative affordability and ease of use. Car manufacturer Ford is reported to be using Ultimaker FDM 3D printers to create custom tools. Additionally, at times the available 3D printable thermoplastic materials currently available are even strong enough to replace metal tools, which makes the assembly process a lot easier and lowers the cost of the custom tool. The medical industry was one of the early adopters of polymer 3D printing. Today, the technology has found a number of uses in the sector, from 3D printed surgical guides and tools to replicas of human organs for pre-surgical planning. Increasingly, 3D printing is being used to directly produce custom medical devices, including low-cost prosthetics and dental devices such as aliners and bridges. One of the sectors of the industry that has been completely transformed by 3D printing is hearing aids. Today, more than 90% of hearing aids are manufactured worldwide using SLA 3D printing technology. Consumer goods companies are increasingly eyeing plastic 3D printing as an option for mass customisation. Since 3D printing doesn’t require labour-intensive and costly tooling and can create complex object cost-effectively, it enables the production of personalised products tailored to consumers. 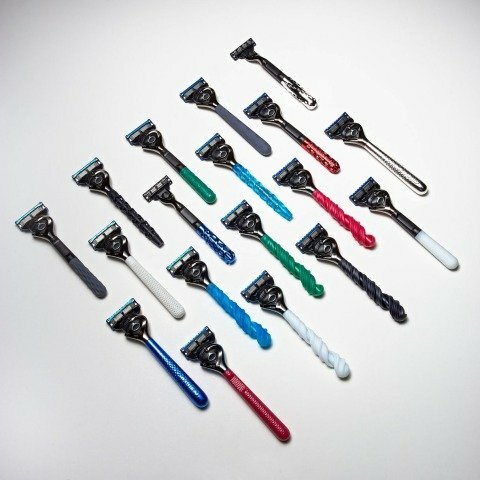 One brand exploring 3D printing to offer greater personalisation for its customers is Gillette. In partnership with Formlabs, Gillette has launched its Razor Maker™ platform. Through this pilot programme, customers are able to choose from 48 design options to order customised shaver handles, which will be produced using SLA technology. Another example comes from the footwear industry. Dr. Scholl‘s, a provider of foot care products, has partnered with technology company Wiivv to make custom 3D printed inserts. Using Wiivv Fit Technology, Dr Scholl’s offers a customisation app, which maps out 400 points on each user’s feet with a few phone photos. Though this process, which takes less than five minutes, inserts can be designed and then printed to the exact specifications of customers‘ feet. Weight reduction is a particular goal for some industries like aerospace and motorsports. Making an aircraft or a vehicle lighter helps reduce fuel consumption and optimise a vehicle’s performance. While these industries generally rely on metal lightweighting solutions to reduce weight, the recent advancements in polymer 3D printing materials offer some exciting opportunities. The ability to 3D print high-performance thermoplastics like carbon-fibre, ULTEM and PEEK can mean metals can be replaced with plastics in some applications. According to one analysis, replacing aluminium aircraft brackets with PEEK alternatives can result in a 5% to 9% weight reduction, which can have a tremendous bottom-line impact on fuel consumption of an aircraft. Replacing a metal part with 3D-printed plastic can also be beneficial for speeding up the maintenance process. One service bureau has used Stratasys FDM Nylon 12CF carbon-filled thermoplastic to make a replacement for a metal machine part. 3D printing the spare part resulted in a superior component, produced much faster than its conventionally manufactured counterpart. The 3D printing industry is making leaps in developing new polymer 3D printing technologies and improving existing ones. Below, we’ve outlined the recent most significant technological developments in the field of polymer 3D printing. Announced at Formnext 2018, the LaserProFusion technology from EOS is an innovative polymer 3D printing technology being developed to enable serial additive production. The process relies on up to one million diode lasers that can reach up to 5kW power output to print plastic materials. With this technology, the manufacturing process is said to be ten times faster, thus achieving the same level of productivity as injection moulding. Although according to EOS, the system is two years away from commercial availability, the announcement is yet another indicator of the industrialisation of 3D printing technologies. Silicon Valley 3D printer manufacturer Carbon made waves in 2016 with the launch of its M1 3D printer. 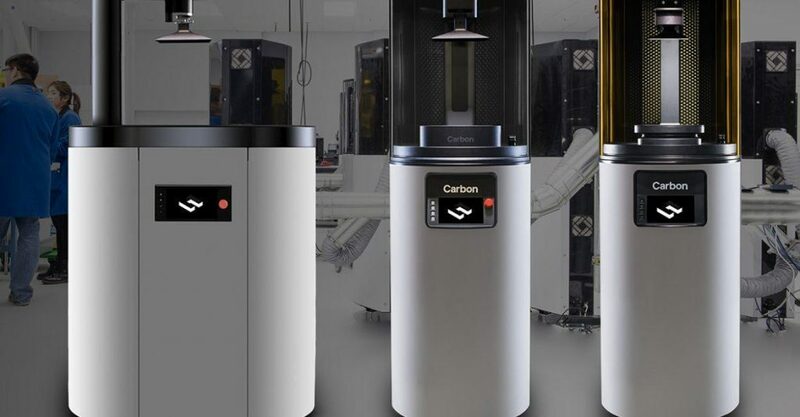 Based on its proprietary CLIP technology, similar to SLA, Carbon’s machines are some of the fastest 3D printers available on the market today. In yet another move, last year the company presented its vision for polymer additive manufacturing with the SpeedCell system. The components of the SpeedCell include the new M2 industrial-grade 3D printer and the Smart Part Washer that enables optimal cleaning and easy finishing of parts. Though this system, AM users can achieve a scalable additive production with engineering-grade resin materials. 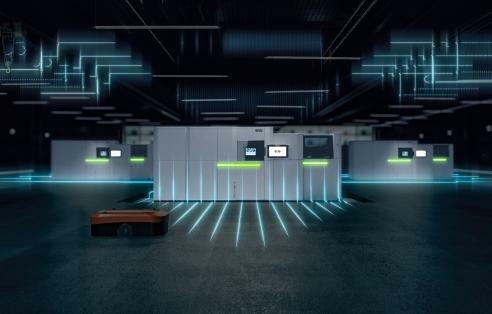 AM solutions provider Fast Radius, in partnership with UPS, has already adopted the SpeedCell system with an aim to create a global, on-demand manufacturing and supply chain solution. Interestingly, Carbon recently announced it was reducing the cost of bulk volume orders of its most popular resins from $150 down to $50 per litre. One of the main reasons behind this move is the increasing use of the technology for volume production. A key example of this is Adidas’ use of Carbon’s CLIP technology to produce 3D-printed midsoles for the line of Futurecraft sneakers. 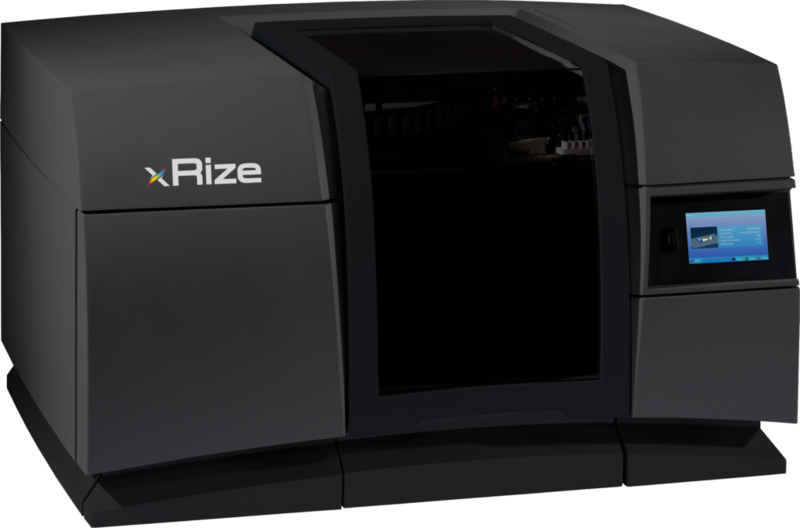 Eliminating post-processing has been a long-held dream in the 3D printing industry – and Rize’s technology promises to remove the post-processing pain points. The US-based 3D printer manufacturer has developed its hybrid Augmented Polymer Deposition (APD) technology, which combines material extrusion with ink jetting. This combination enables the printing of support structures that can be easily removed by hand once the printing process is finished, and without the need for any further post-processing operations. APD technology has been used to make isotropic, full-colour, industrial-strength parts for prototyping, tooling and production applications. Last year, the company also introduced the new feature, whereby users can 3D print secure information, like a QR or barcode, on a part with the help of the technology. This would allow, for example, an engineer to digitally store all of the information for a specific part, maintaining a digital inventory. One of the major barriers to the wider adoption of FDM for industrial applications is the size of the build envelope. This is a barrier the German company BigRep is repeatedly attempting to overcome with its incredibly large and highly capable line of 3D printers. At formnext 2018, BigRep unveiled two next-generation 3D printers – the BigRep PRO (1005 x 1005 x 1005 mm) and BigRep EDGE ( 1500 x 800 x 600 mm) — geared towards industrial use. Both systems are equipped with proprietary Metering Extruder Technology (MXT), which sets them apart from other large-scale options. This new extruder technology provides a clear separation between filament feeding, melting and extrusion, thus enabling faster printing speeds with greater precision and quality. For example, the BigRep PRO is said to offer five times the filament throughput rate and three times the average extrusion rate, compared to other FDM machines available on the market. The MXT is optimised to work with professional-grade materials like ASA/ABS and nylon that BigRep is producing in collaboration with the German chemical company BASF. Notably, the BigRep PRO incorporates a state-of-art CNC control systems and drives by Bosch Rexroth, enabling IoT and data processing capabilities. 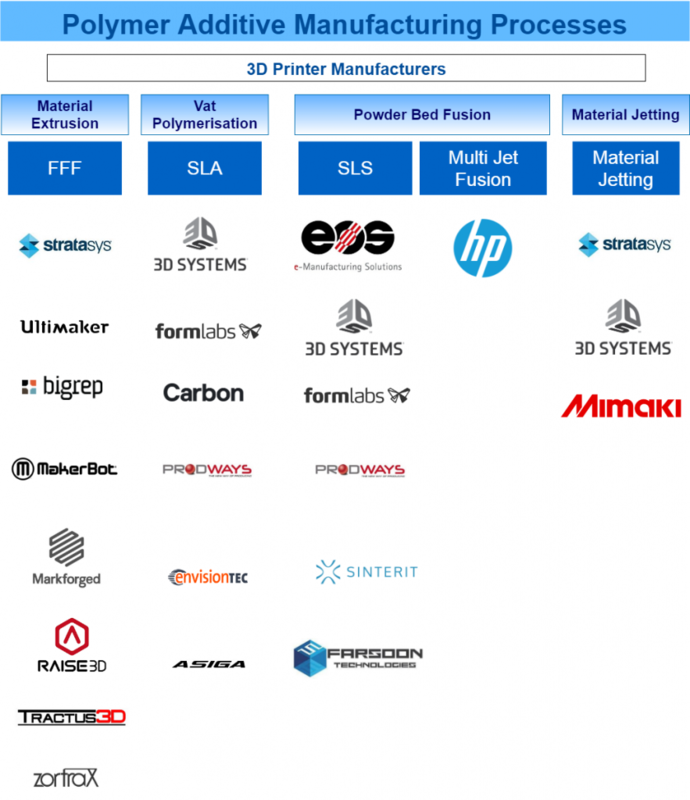 This will ultimately help accelerate the printer’s integration into the Industry 4.0 vision. More and more 3D printer manufacturers are setting their eyes on mass production, and Stratasys spin-off Evolve Additive Solutions is no different. After almost a decade of development, the company unveiled its new production-speed “STEP” (short for Selective Toner Electrophotographic Process) technology for polymers last year. 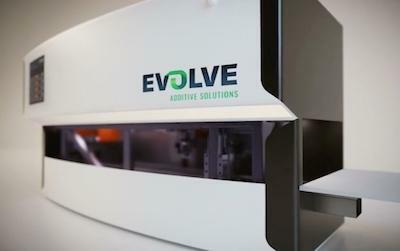 Evolve’s STEP process offers a novel approach to volume production with additive manufacturing, not least because it is said to be 50 times faster than the fastest 3D printing technologies available. What’s more, the company claims that the technology is capable of producing parts with quality comparable to those made with conventional methods, and not just in terms of aesthetic finish, but also strength. Additionally, STEP technology provides multi-material and full-colour printing capabilities. Although Evolve is still two years away from commercialisation, their technology will be one to keep an eye on. From realistic concept models to sturdy prototypes, ergonomic tools and functional end-use parts, the opportunities created by polymer 3D printing are immense. Although some challenges remain to be overcome, such as expanding the material selection and ensuring the reduction of material costs, ongoing developments in polymer 3D printing will help companies further reap the benefits of the technology. As the AM industry as a whole, and polymer 3D printing in particular, moves toward the production of end parts, we see 3D printable composites and high-performance thermoplastics gaining greater traction. While polymer 3D printing won’t replace conventional processes, the technology will certainly enhance current manufacturing capabilities, further unlocking advanced industrial applications.